This module can be connected easily to our development boards with a UEXT to interface industrial networks with an RS485 interface, metering instruments etc. MOD-RS485-ISO uses an ISO35T from Texas Instruments and offers a 3000V galvano isolation RS485/RS422 interface. 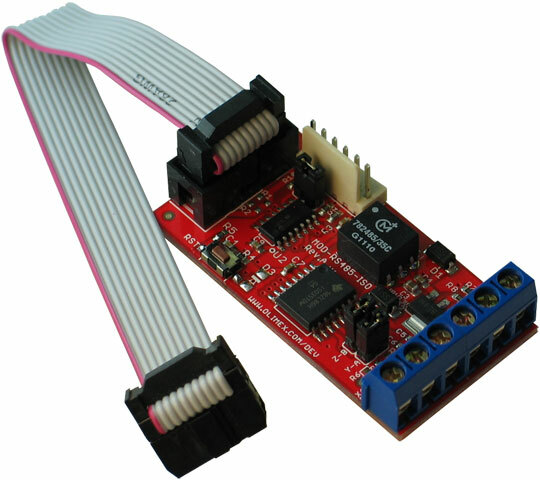 This module can be used to convert RS232 or I2C to RS485/RS422. 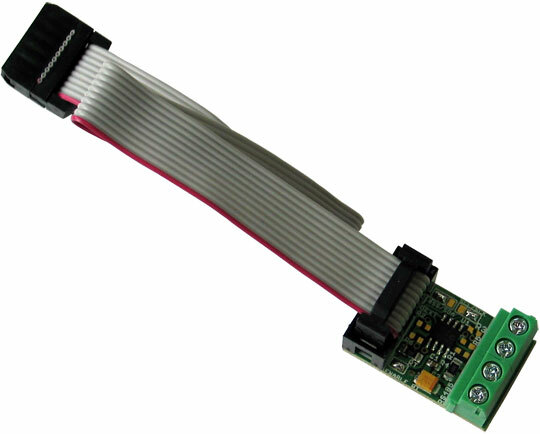 The board comes with a 10 pin cable for the UEXT, via which it can be connected to each of our development boards with UEXT on it. This module is an excellent choice for conveying information over long distances, allowing an error-free data transmission. Dimensions: (58 x 30)mm ~ (2.3 x 1.2)"
I found a very nice example of MOD-RS485 connected to another board in the internet. It doesn't work despite that I use the same setup as the author. What might be different? 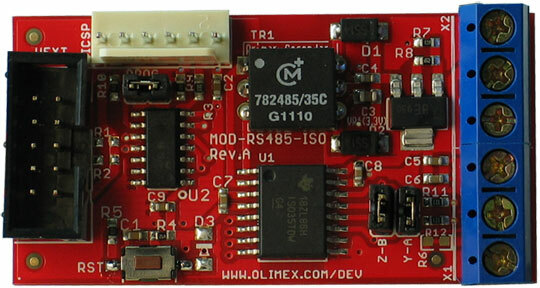 There are number of firmware revisions that had been released for MOD-RS485. You should ensure the example you have found used the same firmware revision of MOD-RS485 as the one you have on the module at the moment. Each firmware uses a different board address (0x22 for newer firmware vs 0x48 for firmware 1, for instance) AND DIFFERENT PROTOCOL. Each firmware has a README file inside the source archive that is available for download. Refer to that README for more information about the firmware and its usage. I have MOD-RS485-ISO with PIC16F1503 and I can't load the latest firmware release. Why? 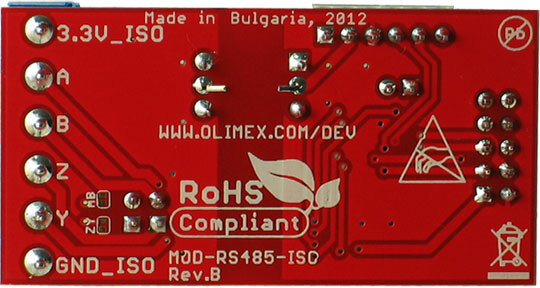 Only MOD-RS485-ISO boards equipped with PIC16F18324 are compatible with the latest firmware released. The last firmware release for MOD-RS485-ISO boards with PIC16F1503 is release #4. Make sure to use that one.